Newry is set to mark Good Relations Week with a number of events taking place in the local area. Coordinated by the Community Relations Council (CRC), Good Relations Week runs from Monday, 17 September – Sunday, 23 September, with more than 180 events taking place across Northern Ireland. The initiative, which supports the Northern Ireland Executive’s Together: Building a United Community (T:BUC) strategy, sees government departments, community groups, local councils, charitable organisations and authorities among many other organisers, host a wide range of events from exhibitions, talks, discussions, concerts, workshops and more. There are several events are taking place in the Newry, Mourne and Down area, organised by Libraries NI, REACT and Rural Community Network, Newry, Mourne and Down District Council and Community Arts Partnership. By using the new goodrelationsweek.com website, residents in Newry can search for events by category, day or by events happening in the Newry, Mourne and Down District Council area to get a taste of what is taking place nearby. 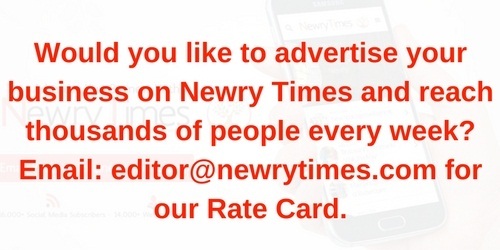 Newry, Mourne and Down District Council is programming a series of workshops to promote cultural diversity in the council area and challenge prejudiced and racist attitudes. Consisting of 14 sessions covering the interplay between language and culture, the ‘Learn the Language of Your Neighbour’ programme will take place in multiple venues throughout the council area. On Wednesday, 19 September REACT and Rural Community Network will host its ‘Rebels, Radicals, Royalists and Loyalists’ workshop. Facilitated by Martin Snoddon, from Northern Spring, the workshop aims to invoke a shared understanding of the past with focus on the Easter Rising and WW1 – The Somme. Jacqueline Irwin, Chief Executive of the Community Relations Council, said, “We have chosen the theme ‘Then, Now…Next?’ to reflect the mood of this year. In April we marked the 20th anniversary of the Good Friday Belfast Agreement, so it has already been a time of reflection and stock-taking. However, the year has also been full of thoughts about the future. “When the Agreement was signed it would have been impossible to imagine everything that has happened since. In the same way, we cannot assume what the next 20 years may bring. However, we do know this: we shape the future and its possibilities by our actions here and now. “Through Good Relations Week we showcase events and people who have chosen to build and sustain good relationships across our diverse community. The commitment and willingness to build good community relationships is the fabric of peace and it is changing the way we will share the future. For more information about events happening in your area, visit goodrelationsweek.com. 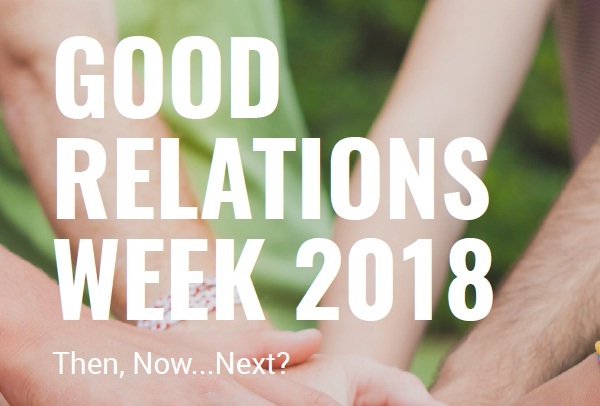 You can keep up to date with Good Relations Week 2018 on Facebook and Twitter and by using the hashtag #GRWeek18.